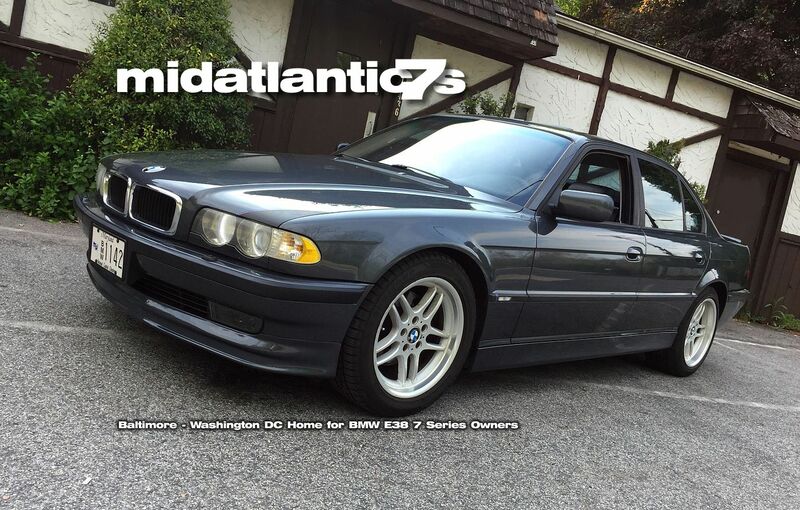 midatlantic7s.com is a site dedicated to the enjoyment of BMWs big E38 7 series (740i, 740iL, 750iL). We are a non-profit group of E38 (and some E32) owners centered in the Baltimore/Washington DC area, who like to get together to talk about, show off, drive, and work on our cars, and help each other maintain, repair, and modify them. We can show you how to save money on repairs whether you are a DIY type (or need help to become a DIY type!) or just want to be more knowledgeable when having your car serviced. Register to be a member now! Click here to sign up. Membership is free! Members get a gallery album to upload pictures of their car, etc. ! And please, join us at our events and tours if you can (but you don’t have to come out to be a member, and you don’t have the be a member to come out! Just owning and enjoying an E38 is enough!). Fun for the whole family!